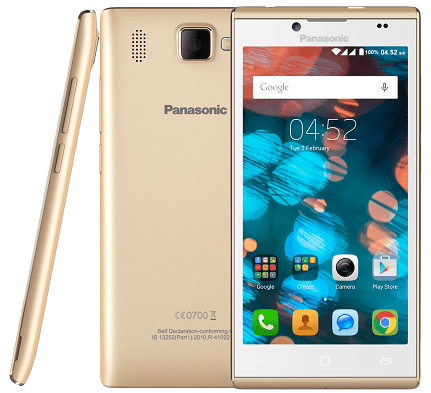 New Delhi, 9th February 2016: With India on the cusp of its digital revolution, Panasonic India has launched its localized smartphone built for digital empowerment. The P66 Mega features a portfolio which supports 21 Indian languages, powered by a mega 3200mAh battery and mega 2GB RAM. Available at a best buy of Rs. 7,990, this newest P-Series model is designed to transcend language barriers and empower people to talk, type, and text in their own native language. With Android Lollipop 5.1, Panasonic’s exclusive ICON user interface and 21 regional languages support, the P66 Mega model is fully capable of vernacular content. A 1.3 GHz Quad Core processor with 2GB RAM and 16GB internal memory – expandable to 32GB – running on a massive 3200mAh battery completes the awesome performance. The 8MP LED-enabled rear camera and 5MP front camera are complimented by a fantastic 5-inch HD IPS display which renders impressively wide viewing angles and crystal clear daylight readability. A phone that goes above and beyond to connect people, the P66 Mega comes equipped with an inbuilt connectivity package of Bluetooth, GPS, Dual SIM – 3G and 2G and Wi-Fi Hot Spot options .The premium contour edge design provides a comfortable fit in the palm, and stylishly finishes the device aesthetic. Available in three irresistible colours – Electric Blue, Rose Gold, and Russet Brown – each device comes with complimentary screen guard and back cover.